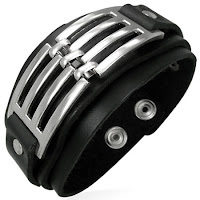 New range of mens leather cuff bracelets now in! Well our leather cuff bracelets have been one of best sellers this year for men. We now offer one of the biggest ranges online in the UK so you know you will find something to suit you with us! 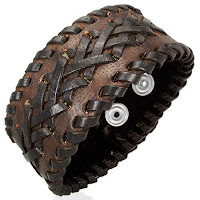 Leather bracelets look great on and are very fashionable at the moment, to be honest I am not sure they have ever been out of fashion as leather has been worn as bracelets for 100’s of years by men. We have just had a new collection arrive so we now have over 100 designs to choose from!! !